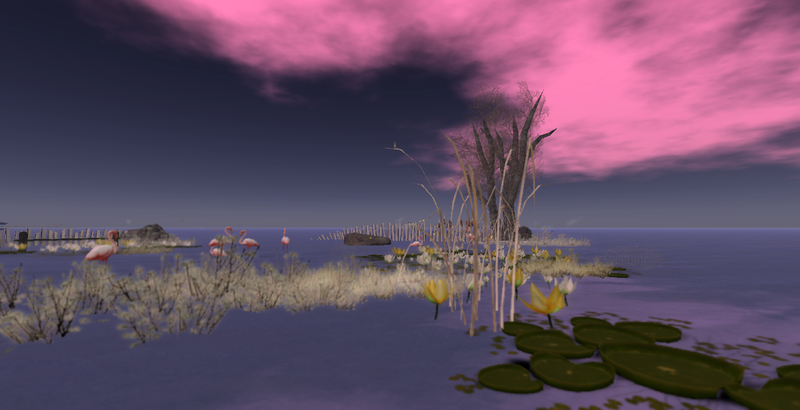 Here are ten of the photos I took at the Spectacular sim of SL11B several days ago. I’ve visited more of the exhibits since then and taken lots more pictures, something I like doing. It will take a while for me to edit them, so I won’t be blogging about them or even uploading them to my Flickr account. I’m pleased I made time to check things out at SL11B and gather some info for future exploration. Even with all the challenges in SL I’m glad to be a part of it. Real life also has been and is far from perfect as well and I have no wish to exit it anytime soon either. This blog is really my only social media involvement regarding SL but some of the rumors and panic about SL.20 (or whatever people wish to call it) get through to me, mostly from newer residents I’ve helped who are concerned and send info they’ve read in group notifications. Kiana Writer of MadPea, of which I’m not a group member, sent a positive and encouraging notification to her group. Pierre Ceriano of The Magic World Studios has a very timely, informative post addressing about what people have bought from them and permissions, etc. I’ve read a little about the changes, with interest at first, and then became extremely bored (which is a clue that it isn’t important to me at this time) and am simply choosing to enjoy my time in Sl while it’s available to me in a way that I and my electronic devices can handle. By all means, anyone who’s interested in discussing it amongst themselves, do so to your heart’s content. My typist keeps finding that the historical Oregon Trail is on her mind. It’s mostly the qualities those pioneers had to develop and practice. She’s heard stories of what her ancestors endured while traveling and moving livestock from Kentucky to Missouri in the early 1800’s. As humans, we all get frustrated and tired but some of the ways people carry on about first world problems, mostly in regards to how it affects them, causes her to feel relief that she isn’t working on real life projects with them or in real life, dangerous, pioneering explorations. I’m sorry when people become chronically bitter. It isn’t at all appealing. My typist has survived many tragic circumstances in this life and one of her major goals is to avoid being a blaming, caustic, brittle, harsh person. She also wants to avoid such persons. If chronic bitterness is working for you, by all means go for it. It’s summer and my typist wants to be away from the internet again. I’ll get to be in SL doing what I like and also checking out some new things. But this blog is going to be on hiatus for a while, possibly more than a month. If anyone (unless you’re a narcissist or sociopath) wants to get in touch with me, I can be contacted inworld as pearlgrey resident. And no, I’m not the one who’s into daddy doms; she’s someone else. I’ll have one more post scheduled for tomorrow, the last pictures I took at Annwn Willows which closed on June 26th. There are more pictures on my Flickr page which can be accessed on the left side of this page. There are places in the universe where beings behave better than they are on this planet. This I know for sure. 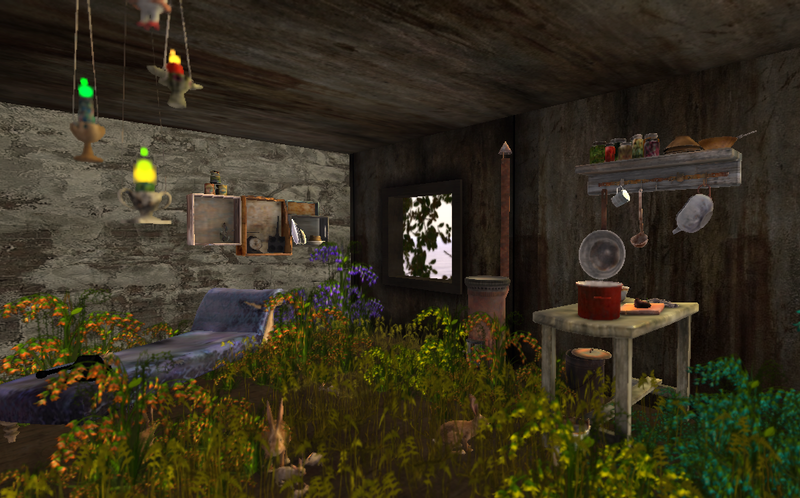 Here are eleven of the photos I took on the Beguile sim of SL11B. One of the things I like about the SL11B celebration is finding resources I had no idea existed. SL is vast and there are amazing places that go under the radar; I wouldn’t even have thought to search for some of them. Feeling time pressures, I’ve picked up info cards and landmarks for later perusal. I’ve found at least three new avenues so far that I must look into. There are great pictures, SLurls and lots of information on the official blog which can easily be found. Overlooking one of the stages. I visited SL11B again yesterday evening. It was a little stressful for me to realize the week is flying by, some unexpected things in my typist’s life is taking more time and I’d only explored one sim so far. Letting go of the idea of a more leisurely stroll, I was more discerning and efficient about my travels. I’m still tolerating the lag and crashing but am a little worried about how my laptop is working so hard to be here. I really do like the diversity and the information of what SL has to offer that’s displayed here at the celebration. Last night I explored and took more photos of other sims here but I feel like time is running out. Here are a few more photos from my Sunday night visit to SL11B as I made my way through the Pizzazz region as a robot. There’s a lot to see at SL11B. This is the second year I’ve attended the birthday celebrations. 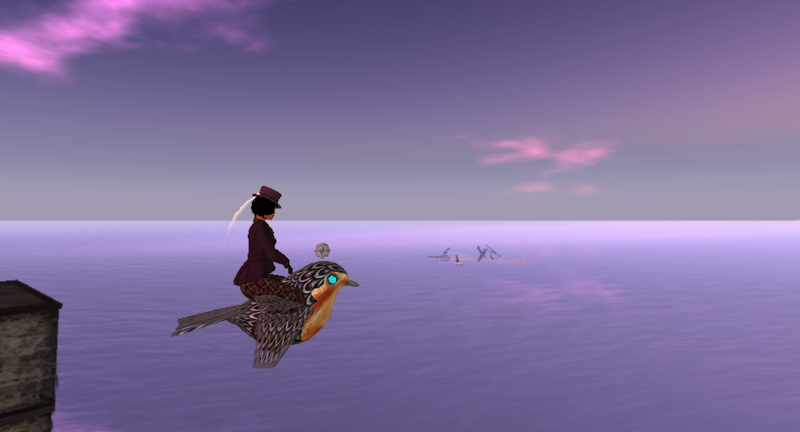 I really wanted to go so I put up with the lag, the avatars whining about lag in local, the crashes and screen freezing. I wore the birthday robot avatar and took off my AO. It doesn’t look so great sitting down; I usually like to have people in the picture instead of emptiness. I got most of the way through Pizzazz although I can’t show all the pictures today. The main thing I noticed was there isn’t such blatant ads and self-promotion like last year. Many of the exhibits seem to follow the Empire theme somewhat. I saw some political stuff and spiritual stuff. Some things didn’t make sense and I’ve only found about half the hunt items available so far. But it’s worth it to me. I can deal with it. I’ll be sharing my snapshots during the next week. They will be of the exhibits. I’m doing some cropping but not de-rendering anything. There will be no SLurls in these posts, picture titles and few notes, if any. You’re welcome to look at my pictures.